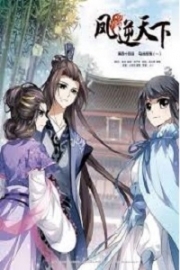 You’re reading novel The Good for Nothing Seventh Young Lady Chapter 1144 online at LightNovelFree.com. Please use the follow button to get notification about the latest chapter next time when you visit LightNovelFree.com. Use F11 button to read novel in full-screen(PC only). Drop by anytime you want to read free – fast – latest novel. It’s great if you could leave a comment, share your opinion about the new chapters, new novel with others on the internet. We’ll do our best to bring you the finest, latest novel everyday. Enjoy! Right after Shen Yanxiao departed for the Moon G.o.d Continent, the members of Phantom who were far away in the Radiance Continent silently lit three stick of incense for the elves of the Moon G.o.d Continent. She seemed to be silently begging the pa.s.sing elves to patronize her stand. The fruits in Moon G.o.d Continent were very exquisite; they looked very delicious. Shen Yanxiao stood in front of the fruit stand, looking at the several fruits that had the same color of apples, but a shape more similar to oranges. She was considering whether she should try one. 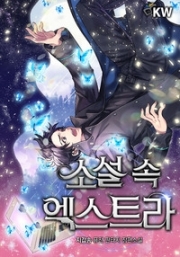 You're reading novel The Good for Nothing Seventh Young Lady Chapter 1144 online at LightNovelFree.com. You can use the follow function to bookmark your favorite novel ( Only for registered users ). If you find any errors ( broken links, can't load photos, etc.. ), Please let us know so we can fix it as soon as possible. And when you start a conversation or debate about a certain topic with other people, please do not offend them just because you don't like their opinions. You're reading The Good for Nothing Seventh Young Lady Chapter 1144. This novel has been translated by Updating. Author: North Night,夜北 already has 2357 views. Current Time is Apr-21-2019 21:00:06 PM.